Orange County tow has been in service for over 10 years, and has some of the most experienced drivers and workers of any towing company. The company itself is run by professionals who have been in the business for over 20 years themselves, while the workers are held to the highest standard, upholding the company’s illustrious name being their top priority. 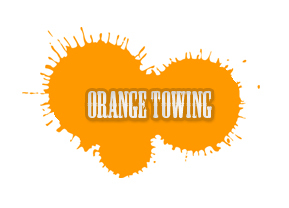 Whether it’s just a regular hook-up tow service that you need or a flatbed, Orange County Tow is always able to help. Not only does the company provide basic towing services, but Orange County Tow provides numerous other services related to Roadside Assistance, to help any driver on the road. To add to that, we are available for Towing 24 hours a day to help service you. When it comes to towing for Orange County, you can call some random company who is bound to do a bad job for you, or you can work with professionals. We don’t believe we have to tell you that you’re making the wrong choice when you’re talking to Orange County Tow, you’re talking to the professionals. It’s no secret that our service is extremely helpful and will make sure to serve your needs rather than extort money from you wallet. You get the most affordable prices with us, but that’s not all you get. You get the best response times as well, because we strategically place drivers all over Orange County. You get the most friendly and helpful dispatchers, tow truck drivers, and roadside assistance technicians, all trained to help you more than anyone else in the business. You even get the most experienced and seasoned management, to make sure that every situation is overseen and handled correctly by both the dispatchers and the tow truck drivers/roadside assistance technicians. Because of these qualities that Towing Orange County employs to assist you, we know that you’ll be just as amazed by our service as every other customer who has made the right choice by calling us first. Not sure if we can help? Give us a call anyways at (714) 352-4384, and we’ll still do our best to help you out!